Canterbury Bulldogs coach Des Hasler has come under fire from NRL fans following the team’s dismal 36-0 defeat at the hands of Manly Warringah Sea Eagles last week. His players, however, are having none of it, and have expressed nothing but support for their coach. Despite the thrashing by Manly being the team’s third loss in four games, the Bulldogs are well aware that Hasler has coached the team out of worse season starts than their current 1-3, such as in 2013, when the team was defeated in five of its first six games of the season. Manley scored five tries in the first half of the match against the Bulldogs, and it was that stellar performance that put the team well on the way to winning. Dylan Walker scored the first try, and the second followed not long after, courtesy of Curtis Sironen. Brian Kelly was responsible for the third and fourth tries; not at all shabby for a player who had played only three NRL games before. Tom Trbojevic scored the fifth try shortly before half time, which saw the team lead 26-0. The second half lacked the robust playing seen in the first half. Much of the second half had already passed by the time Akuila Uate was able to score Manley’s sixth try. Hasler may be safe as Bulldogs coach now, but that may change if the team’s performance does not pick up. The first head to roll because of a poor-performing team is usually the coach’s. Panthers coach Matt Elliott was fired in 2011, while Wests Tigers coach Jason Taylor got the chop after the team lost more games than they won under his coaching. 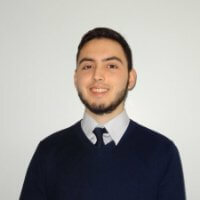 Elliott said that great expectations are placed on coaches, and that, even though coaches play an important role in a team’s success, the teams themselves, as well as club administrators, were also responsible for their performance on the field. The weak start to the season has put the Bulldogs in 13th place on the ladder. 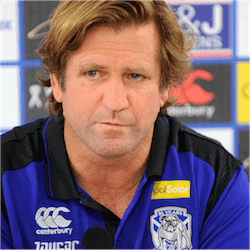 The team may have scored fewer points than the others that comprise the NRL, but that has not shaken faith in Hasler’s coaching abilities. Greg Eastwood said that the team was behind Hasler with its full support. The lock acknowledged that Hasler’s coaching took the Bulldogs to six finals in six years, and said he was confident that the team would improve as the season unfolds. Prop Aiden Tolman echoed his teammate’s words of support for the coach, and admitted that the team was under pressure to perform, given the 1-3 start to the season. However, Tolman added that, when all was said and done, the team’s walloping by Manley was down to the players’ performance. It appears that the Bulldogs have not forgotten that Hasler has not only coached them to several finals and two grand finals, and that his coaching had also helped Manley to a couple of premiership titles.